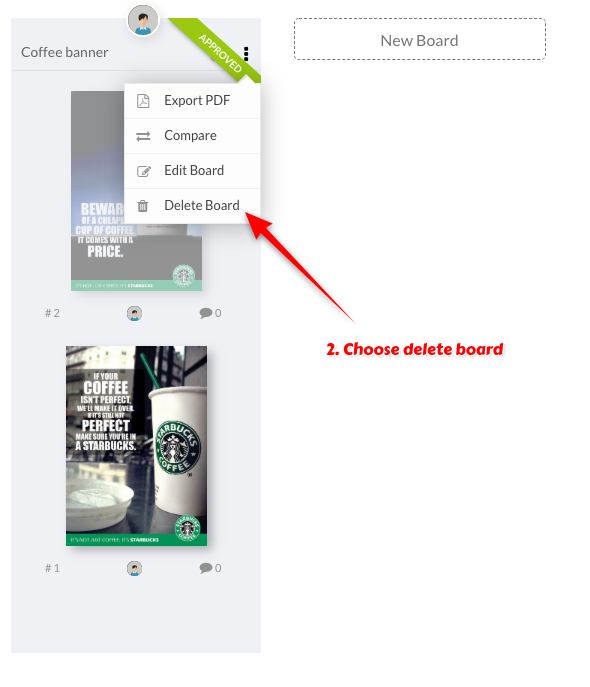 How to delete boards in DesignCollab ? 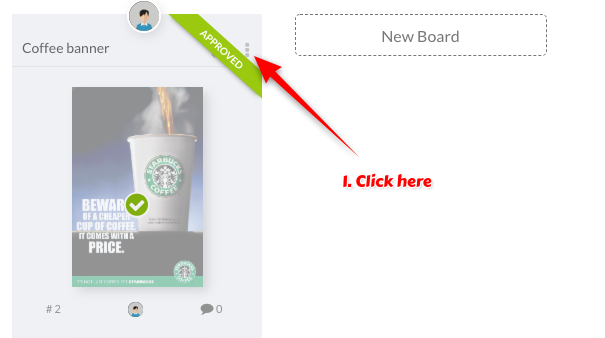 An entire board can be deleted in DesignCollab. 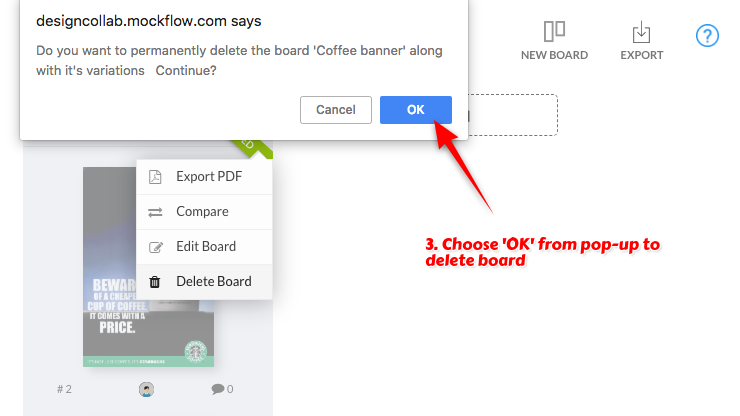 Once deleted, the board cannot be recovered.